New day, new collaboration announcement. And for real, who does collaborations better than ColourPop? 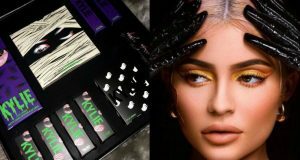 The brand has collaborated with YouTuber Kathleen Lights to give you round 2 of the Zodiac Collection – this time with a bunch of loose pigments! Pressed or loose pigments, especially when shimmery are perhaps the BEST way to take it there with your makeup. Dab it on your lids, use it as a highlighter, or mix a little in with your foundation for the ultimate glow – they’re pretty versatile. Of course, since this is a zodiac collection, there are 12 (!!!) loose pigments. And each and every one of them look INSANE. The Zodiac Loose Pigment Collection is also an extension of the previous Zodiac Collection. But this time, they have a new formula. The formulae is different from the super star loose shadows. Some have a more pigment base while other have a more glitter base. It’s obviously a no-brainer that since it’s the Zodiac Loose Pigment, they’re all named after the signs. One thing is apparent – Kathleen Lights clearly adores the brand. And of course, it is much appreciated. ColourPop is an easily affordable brand, and the constant newbies are hardly ever bothersome. The Zodiac Loose Pigment collection will launch on ColourPop’s website on January 1st and 10 AM PST. You can purchase the pigments individually for $6 each, or as a set for $70.